 The Domain Tennis Centre was established in the 1960’s as the need grew for an international standard tennis centre in Tasmania. Half a century later the Domain Tennis Centre remains the premier place to play tennis in Hobart. The first social tennis was played at the current site on Thursday, November 26, 1964. The Domain Tennis Centre was officially opened on Saturday, December 19, 1964. The centre consisted of nine lawn courts and twelve cement stabilized clay courts. The Tasmanian Lawn Tennis Association had its headquarters at the Creek Road centre and was established in 1909. In 1957 the President of the Southern Tasmanian Lawn Tennis Association, Mr Viv Holloway, saw the need for a new International standard tennis centre for Tasmania. After considering three sites for the centre (Nutgrove, Queenborough and the Domain), it was decided in 1960 to proceed on an area set aside by the Hobart City Council on the Queen’s Domain. Over the years the court surfaces of the centre bowl have changed. The immaculate lawn courts gave way to Mateflex in 1979 (Hobart hosted the Australian Hardcourt Championships). In 1984 courts 11 to 18 were converted from clay to synthetic grass and the Mateflex was also replaced by synthetic grass. The seven grass courts on the lower side of the centre remained. The Tasmanian International Women’s Open (now the Moorilla Hobart International) was held at the club for the first time in 1994 and five courts (east, west, 8, 9 and 10) were converted to Rebound Ace. In 2005 the remaining grass courts were replaced by five synthetic clay courts known as Polyclay. These courts have become the favourite of most members, are fully lit, allowing for year-round play (the grass court season lasted for six months) with the maintenance costs being far less than the grass courts. In 2005 the club received a State Government grant to upgrade the clubhouse facilities. The upgrade was completed in December 2006 with new facilities for club administration, a new pro shop, coaches accommodation and the addition of an expansive deck overlooking the clay courts with magnificent views down the Derwent River and over the city of Hobart. In 2011 our 2,500 seater stadium was completed boasting VIP corporate box seating for 400, general admission seating for over 2,000 people, bar space, media broadcast areas, storage and other function room facilities housed within the grandstands. Host to the annual women’s international WTA tennis tournament held every January, the stadium has been a great addition to an already fantastic centre.